In rowing, there’s a lot of things that make a boat go faster. Obviously it helps if you have a Redgrave or a Pinsent gripping the oar. However, there’s more to it than supreme athleticism. It is also the cumulative effect of tiny tweaks to the rigging. It’s attention to detail. It’s timing. It’s spotting the weaknesses and early intervention before bad technique becomes a bad habit. And when everything comes together you’ll hear the boat sing. Most important of all, it’s about achieving and maintaining balance. One miss-timed plant of the oar and you may as well have just dropped an anchor. This usually happens when a member of the crew has a rush of blood to the head and hurries the stroke. The Internal Communications equivalent of catching a crab is diving in unprepared and through lack of planning, purpose or judgement undo lots of great work through an ill-timed, insensitive, rushed, poorly targeted, or poorly pitched communication which lands so badly that credibility and trust is lost. I love a good sporting analogy and my favourite sport is rowing, ergo, I love a good rowing analogy. Emotional stress is a killer. It is a major contributor to heart disease and other life threatening illnesses. It also causes exhaustion, irritability, angry outbursts, muscular tension and poor concentration levels. So a stressed employee is unlikely to return optimal performance right? And what is worry if it is not a manifestation of emotional stress? I don’t worry about much. I certainly never worry about things beyond my control. I don’t tend to worry about things within my control either because I have always found that worrying about things rarely, if ever, contributes to making them better. I have always enjoyed a quiet but resolute confidence in my own ability to make the right decisions, exercise sound judgement and produce good quality work on time without the need to panic or get stressed about missing details or deadlines. This of course does not mean that I don’t sometimes let people down. Of course I do, we all do, but the people or projects that may have to wait for something are invariably the victims of necessary prioritisation. Over the years I have learned how my apparent state of calmness even under considerable duress (a skill I acquired during my 15 year stint with the Metropolitan Police) can infuriate people, especially worriers. I guess it’s easy for a worrier to misinterpret my own lack of worry as a lack of interest or even focus; which actually could not be further from the truth. 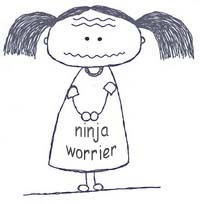 Years ago I worked for a very talented lady who was also a ninja worrier. She used to react to the pressures of work by winding herself up into a state of increasingly heightened emotion, which occasionally led her to explode in violent rages. And I of course made things worse by not reacting by jumping to attention and running around like a madman pretending to looked stressed. I was a rower for many years and if rowing teaches you anything it teaches you to remain calm and to channel and control your power so that it makes a positive contribution to the smooth passage of the boat. If you get anxious and rush in at the catch, it’s like hitting the break pedal instead of the accelerator. The whole crew suffers when you rush your stroke. They have to compensate for your action and work harder themselves. It’s all about controlled aggression. The truth is, these days, the only thing I ever worry about is the fact that I never worry about anything.